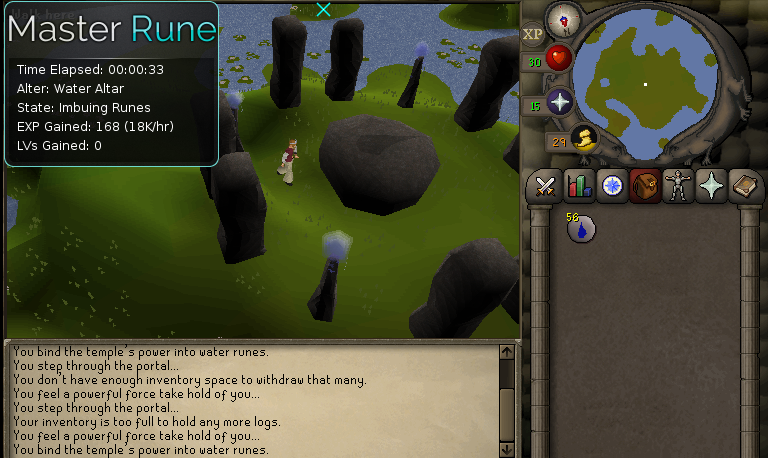 Master Rune is a RuneCrafting script which supports all Free-to-play Altars to be used for Tiaras or RuneCrafting. not ban news about dis script_? I will check it out later today, does it support teleports? no, it will walk to the altar. yes but if you don't want to be banned, don't bot. There will always be an inherit risk of being banned while macroing. Take a look at this guide to mitigate your risk. mooshie is deff the best scripter, all his scripts are flawless and updated more then 1 time a week. he's so god dam active, someone give this man an award. it works well with any F2P Altar. hi, does this support ROD for fires? can you make bot for nature rune, law rune, and death rune please? Stops after a single run 99% of the time. Will not be using again.